Alex is a PrEP Specialist at NewYork-Presbyterian Hospital. Alex joined NYP after graduating from Yale, where he studied biochemistry and gender studies. Alex first started working on PrEP by researching how it was being accessed in Philadelphia and NYC, and its effects on the social and sexual lives of people taking it. 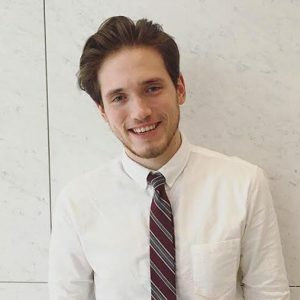 Alex currently serves on the NYC Department of Health’s HIV Planning Group, where he helps ensure that efforts to End the Epidemic are effective and appropriate for the communities they serve. Alex has multiple years of experience in sexual violence prevention and LGBTQ organizing, and enjoys helping others access pleasure, joy, and good health. You can reach him at 917-692-0878.